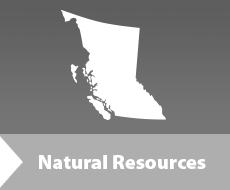 Seabridge Gold Incorporated proposes to develop a combined open pit and underground gold, copper, silver, and molybdenum mine in the Kerr, Sulphurets and Mitchell Creek watersheds located about 65 kilometres northwest of Stewart, British Columbia. The proposed KSM Project is expected to process 130,000 tonnes per day of ore over a mine life of up to 55 years. Citizens were invited to comment online, by email, fax, mail or to attend an information session in Iskut (Sept. 25), Telegraph Creek (Sept. 26), Terrace (Oct. 1), Smithers (Oct. 2), or Stewart (Oct. 9). The intention of seeking public comments is to ensure that all potential effects – environmental, economic, social, heritage and health – that might result from the Project are identified for consideration as part of the assessment process.